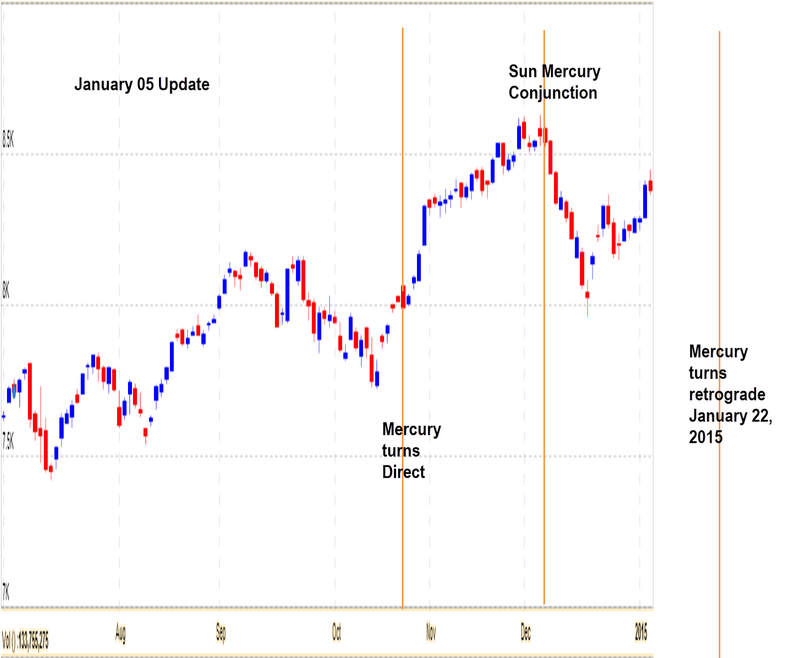 I had mentioned about December 07/08 being a date of commencement of market correction..
Often times such corrections which begin when Sun and Mercury are conjunct, ends with Mercury becoming retrograde. 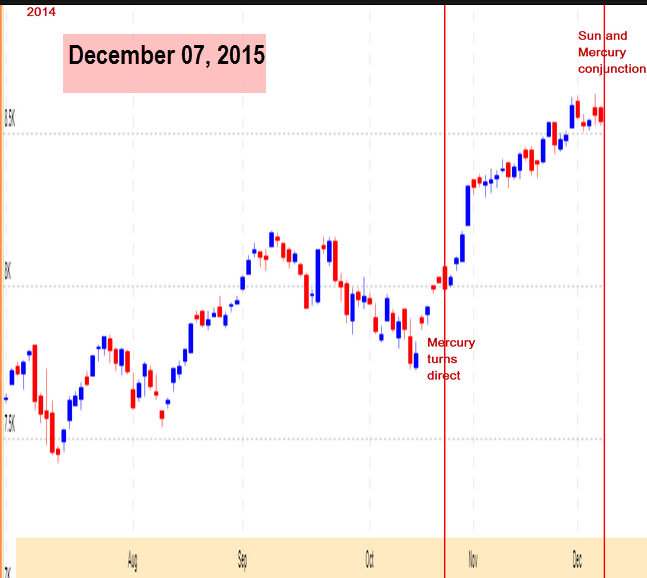 January 22, 2015 seems to be a very important date....for a low? A reminder about the Aurobindo Pharma astro analysis that you told you will post. Hi Prashant, I have posted about Aurobindo Pharma..